Because we are insane. 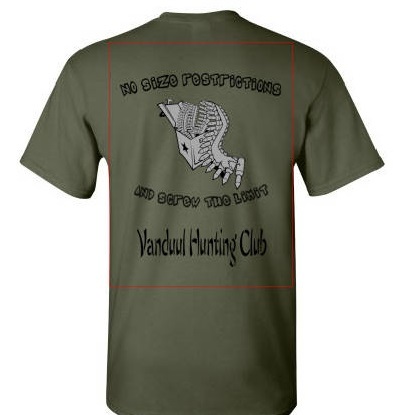 A short sleeve and a long sleeve can be found below, as well as the website for designing your own. Totally bonkers. Where are the mugs and watches? No Supreme, don't unleash those demons too! Go forth me children and multiply!! I hate to say it but I dislike all of them. 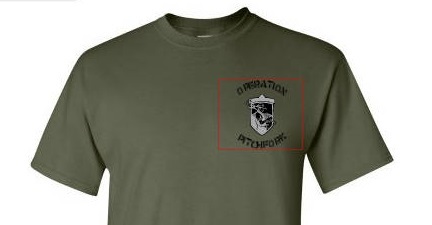 I like having the OPPF emblem on the long-sleeved one but that's the only bit I liked. I think I prefer the long sleeve. Though I'm not sure about the image on the back. Redback Company: First ones in, last ones out. Personally I like the short sleeve. I think it's the message in that one more than the art. If we can figure out a way to tone it down and make it less vibrant, I'd pick up a couple of those. I like the revised long sleeve as well with only the front image. Good work though. Thanks, I'll get in touch with Supremacy about getting that art design for the T-Shirt retouched. I like the message as well. So I made this in like 2 minutes as a rough idea but this is the style I like. Yes I my battle cry is for the battle cry lol. Don't mean to step on anyone's toes. I looked at the design Benjamin made. I like it, but the cost is a bit high for me. Made up these basic ideas on another site focused on keeping costs down, with few colors and standardized clip art images. Please let me know what you think. You ain't stepping on nobodies toes! Don't worry about it! The more people we get sharing ideas, the better this is all going to turn out. I don't even know where the price was. I overlooked it completely. I did use really nice material, so that probably did it. I'm going to make some more shirt designs when I'm not busy/have a pounding headache. Dang it! It is probably me, but I can not figure out how to bring up the design, fdw0-000x-su8a, so I can see what the cost is if I want to order. I can not find the area to put the design number to pull it up for orders. Tumbleweeds. 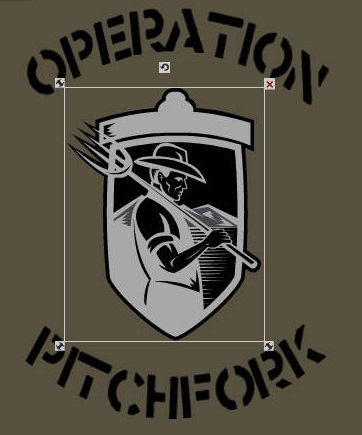 A Lone Wolves inspired org. It would probably be helpful if we went back and edited the posts to include the estimated price for that particular design (which I just did). Most quotes I have run state a minimum order of 6 shirts, and the larger the order the less expensive each shirt is. Once a final design is settled, how do we want to handle placing orders? Print out the order form on the proof, fill it out with a check and send it to whoever and they send it in as a collective order? I don't know. It would be better if someone could call or email inquiring about group ordering rather than individual ordering with a final deadline before the overall tally is processed. Probably describing this poorly. On pain meds right now. Lol. I wasn't too serious about the shirts, but this is turning into a kind of popular thing now, so I should probably follow it up. As for the price, I must not have had the right page linked. I'll go back and take a look. I have collected all of the OPPF images on the Facebook group. We also have an art section here on the site. I could set up a Zazzle store for us if people are okay with that. Considering the massive amount of merch our mad minds are manufacturing, I'd say yes. That is a great ideal. Would the money they send to the creator of the account be used for buy SC stuff for give away to participants or used to defer shipping costs? If I made it it would be divided between server costs and going into occasional giveaways as such, yesh. Original design fixed, as promised. Enjoy! I saw that someone sent a bunch of these to CIG, good thinking! Did we ever get that Zazzle store running? No we are just ordering them as individuals off the site.